Today, Russian and Indian commanders of the exercise Major General Oleg Tsekov and Major General P.S. Minhas, respectively, congratulated the Russian reinforced motorized battalion and the 5th mechanized infantry battalion group of India’s 31st armored division for the successful completion of Indra 2018. During today’s ceremony, they awarded the most prominent participants in the drill. Indra 2018 ended with a march of the participants to the range and helicopters flying in the sky carrying Russian and Indian national flags. Yesterday, the Russian Ministry of Defence reported that the final stage of the Russian-Indian anti-terror drill has concluded with performing a joint decisive strike on a simulated enemy’s targets at the Babina practice range. The culmination of the active phase of Indra 2018 was an operation carried out by the motor rifle units, who had delivered a massive strike against the positions of notional terrorists holding the communities seized earlier. Along with the armor that included 14 T-90 main battle tanks and 14 BMP-2 infantry fighting vehicles, the troops were supported and by the Indian 155mm Bofors artillery guns and Shilka self-propelled anti-aircraft guns, in order to run the scenario and to complete the mission. The Indra 2018 exercise, which brought together 250 Russian servicemen of motorised infantry units of the Eastern Military District, deployed in the Primorye Region (in the Far East) and 250 units of the 31st armored division of the India’s Armed Forces, was held in the period from 18th to 28th November, at the Babina training ground in Uttar Pradesh state (the Republic of India). There, the participants trained to improve their capabilities in joint planning of peacekeeping operation, cooperation of headquarters and units of the both countries and tactical action to eliminate mock illegal armed formations. India, as a host, provided for the joint drill seven T-90 tanks and 18 BMP-2 IFVs, as well as acquainted the Russian counterpart with the modern weapon systems in service with its Armed Forces. 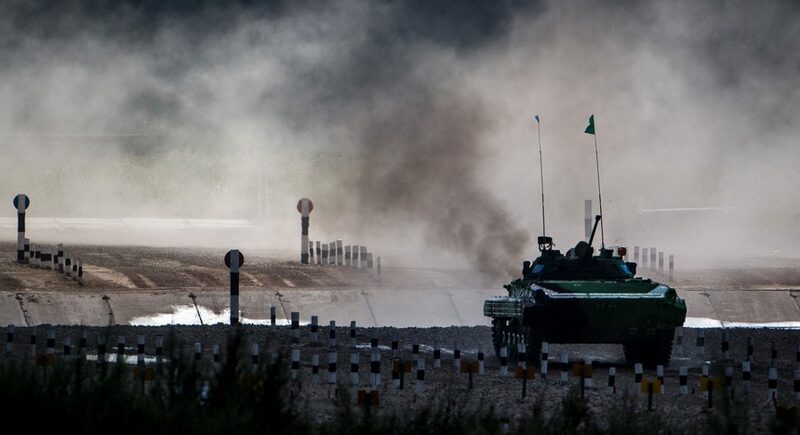 Furthermore, the Indo-Russian military exercise involved shooting exercises, demonstration of weapons and military equipment, sports events and joint lectures.